Noura was delegated to France on a practical course dedicated to physical theater and its teaching methods whereby she joined parallel courses of the techniques of dancing and movement design in 1998. Noura received a training course on cultural management by Culture Resource in 2010, Damascus. She worked as a co-teacher in the department of acting, and as a teacher of Body Expression at the Higher Institute of Dramatic arts until 2000 - 2003. She established the Leish Troupe as the first physical theater troupe in Syria; and has been its Artistic Director it since 1999. The first performance of the troupe entitled 'After All This Time' won the best Scenography prize in the Cairo International Festival of Experimental Theater 2000. Since 2001, she has been supervising and organizing workshops in Syria, Jordan, Lebanon and Dubai. Has also participated in many conferences in the region and abroad. For two successive years, Murad was appointed as a member in the jury of the Philadelphia Festival for University Theater 2005-2006. In 2009 she co-organized the 1st Damascus Contemporary Dance Platform. In 2013, Noura returned to the Higher Institute of Dramatic Arts as a teacher of Theatre Movement (Department of Acting), Physical Theatre (Department of Dance). She headed the Dance Department in the institute and was the dramatic supervisor of fourth-year students’ graduation projects for two years in a row: 2014 and 2015. Currently, she is teaching Contemporary Performing Arts (Theatrical Design Department). 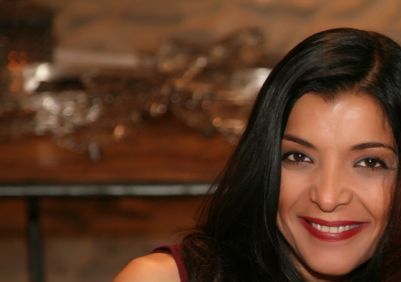 Noura has also played many roles in theater, television, radio and cinema.